100% silk threads are considered essential for stringing fine gemstone beads and pearls. The quality of This Silk thread is comparative to other renowned silk threads for jewelry-making. 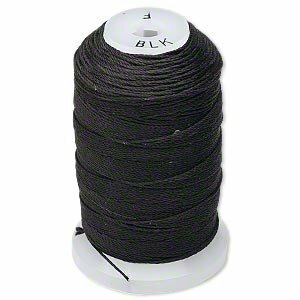 Easily knottable for producing professional results, This thread durable enough to withstand the abrasion of pearls, glass beads and gemstones while remaining smooth with a soft sheen. 100% silk threads are considered essential for stringing fine gemstone beads and pearls. If you have any questions about this product by Purely Silk, contact us by completing and submitting the form below. If you are looking for a specif part number, please include it with your message.